Upon arrival, you will be met and privately transferred to the hotel, where you are offered a welcome drink and the tour briefings in the hotel lobby. Then check into the room, which has been romantically set up with such flowers, chocolate and gifts - time for refreshments before your welcome dinner in an authentic restaurant. The rest of the day is at your leisure. 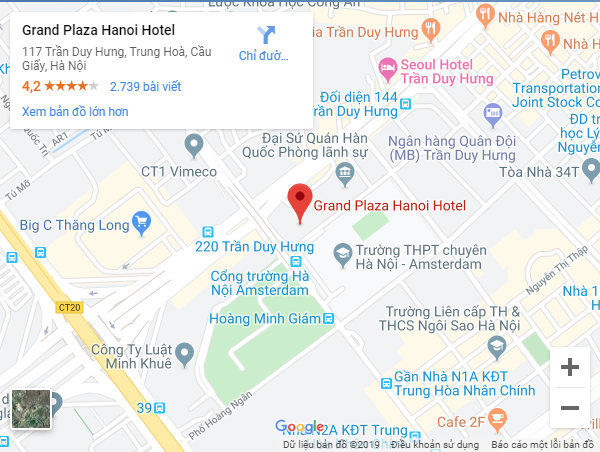 Breakfast at the hotel - pick up - take an in-depth tour of the most interesting sites in Hanoi. Today's experiences include: the Ho Chi Minh Mausoleum - Ba Dinh Square – The old residence of Ho Chi Minh – One Pillar Pagoda – Central Sector of the Imperial Citadel of Thang Long – Temple of Literature – time for your leisure, food and drinks (at your own expenses) – continue your tour with a visit to Ngoc Son Temple on Hoan Kiem Lake – take an in-depth walking tour of Hanoi Old Quarter for an overview of the local life and businesses - time for your own exploration and shopping - return to your hotel. The rest of the day is yours. Today you will take a scenic drive toward Sapa, including some short breaks for coffee or toilets. Upon arrival, check in the hotel for refreshments – lunch at an authentic restaurant – transfer to Muong Hoa Valley – hike along a scenic trail that gradually descends to Lao Chai and Ta Van villages. During your hike you will come across Black Hmong, Red Dzao and Dzay people – pay short visits to local schools and local families - time for a break, drinks and food (at your own expenses) - transfer back to the hotel. The rest of the day is yours. After breakfast – transfer by car to the cable car station for a short cable ride and then take a walk to the top of the Fanxipang Mountain for a breathtaking view of the whole area – return to the car and transfer to Sapa town – time for a break and lunch (at your own expense) - the rest of the day is at your leisure. Today you will take a 4 hour drive on a countryside road through the paddy fields to Ha Long Bay, one of New Seven Natural Wonders. Upon arrival at the harbor, you will board a traditional boat – set sail through the limestone islands – have a nice seafood lunch – take a sampan ride to visit a traditional fishing village – attend a short cooking class - time to relax on the upper deck at sunset – enjoy a delicious dinner. The rest of the day is your leisure. Why not play cards, try your luck at fishing, watch movies or simply enjoy some drinks and chat with your friends at the bar on board. Up early – top deck – Tai Chi - enjoy your light breakfast – disembark for an easy exploration of the cave close by – return to your boat - check out your cabins – enjoy a nice brunch while sailing back to land – transfer by road to Hon Gai market – spend your time wandering around the fishing harbor, the market and the streets for an overview of local life – continue your tour with visits to the impressive Ba Vang pagoda and ceramic factory along the way (if your time permits) – onward travel to the airport for your departure flight. Why book with Jewel Tours? There are at least 8 reasons why you should book Jewel Tours and tour on our website. When is the best time to have a trip to Vietnam? What kind of currency do you recommend? The Jewel team consists of experienced tour specialists who have deep knowledge of Vietnam, Cambodia, Laos, Myanmar and Thailand. We can assist with all your tour-related questions.